La Ruta Maya 2019 one month away - are you ready? Posted: Monday, February 11, 2019. 2:51 pm CST. By BBN Staff: With less than a month to go, teams from all over Belize, and some other countries are gearing up for one of the most intense races in the world: the 2019 La Ruta Maya Belize River Challenge. The race, which ranks 40th on ‘Peak Races’ 100 Toughest Races in the World, is scheduled for March 8-11. 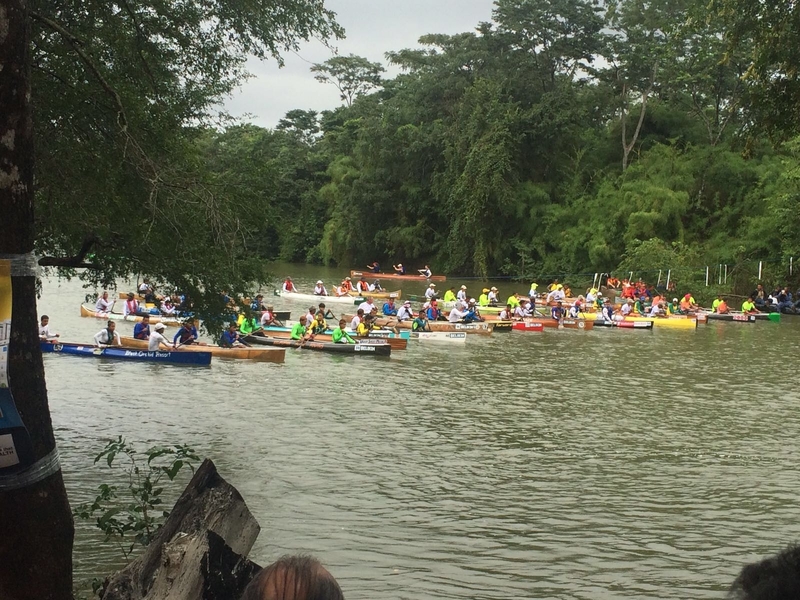 The 175-mile canoe race kicks off at the Hawksworth Bridge in San Ignacio, Cayo, and ends at the BelCan Bridge in Belize City. Three-member in various categories including Male, Female, Mixed (male and female), and Masters (over 40 years of age and may include a mix of male and female) will test their endurance on the river using single-blade paddles while competing for station prizes along the way and the coveted top spot overall. The race began in 1995, as a part of the “Save our Rivers” campaign to raise awareness about how improper disposal of garbage and littering was harming the environment. Over time, it grew to one of the largest social events on Belize’s calendar, with much more than the race being offered for spectators than just the race. Belikin Beer officially adopted the race in 2014, making it a part of its community initiatives.